It’s time for Nail Polish Sunday! This week I want to start out by sharing a story. It may not seem relevant to nail polish at first, but stick with me and you’ll see the connection. Doughnuts. (Almost) everybody loves them. They are a sweet temptation for most people. I love them too, “doughnut” get me wrong. But when there’s a box of fresh Krispy Kremes, Dunkin’, or name-your-local-doughnut-place in the room, I feel no temptation to eat one whatsoever. Why? It’s not that those other places don’t make yummy doughnuts. It’s because, in my heart, there is only one doughnut in the world worth eating: the vanilla cream-filled doughnut from the little shop in the town where I grew up. I’ve tried the others, and even though they are delicious, they just aren’t the same. It’s like a mouthful of sugary disappointment in comparison. And now I’ve found the vanilla cream-filled doughnut of the nail polish world: Fun Lacquer’s Siberian Squill. (I got my bottle from Live, Love, Polish…where else? ^_-) The only downside about it is that now the rest of my polish colors pale in comparison. It’s a blue/purple duochrome holographic polish with tiny holographic glitter. Admittedly, the color change in this duochrome is not anywhere near as vibrant as it is in Blessing. That doesn’t matter. Once again, photographs do not do the color justice. There’s far more depth and sparkle than my phone’s camera can capture. Looking at this polish makes me understand why dragons hoard treasure. That really doesn’t look comfortable. When you’re so tired you just want to go to sleep, but you still want to see where you’re going. 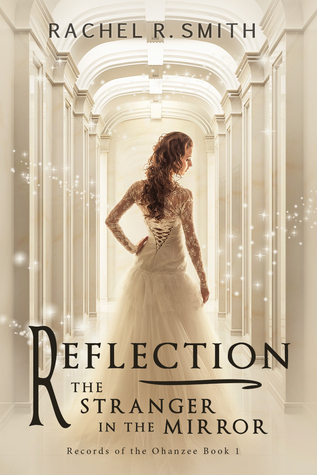 A quick reminder too: the Goodreads giveaway for a paperback copy of Reflection: The Stranger in the Mirror is still going on. You have until April 14 to enter! Also, some advance notice for my blog readers: On Tuesday, April 12, there will be a free promo day for the ebook version of Reflection: The Stranger in the Mirror on Amazon. I’ll post a reminder on Tuesday as well! Next postHappy National Library Week! Great color, and Sumo is just too cute! Also, could I take a screenshot of Sumo and post him on my blog?